This course is an introduction to the C++ programming language for those who are already familiar with C syntax and some basic principles of object oriented programming. 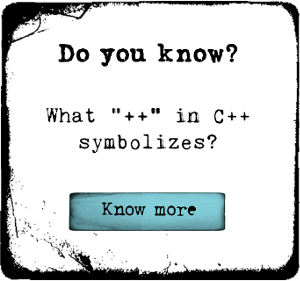 C++ is based on C, but extends the language with features such as function templates, namespaces, and (of course) classes. We'll spend a lot of time in the first hour of the course talking about streams, which simplify input and output a great deal. - The idea of friend class members. If you've been thinking about learning C++, then this course is a good first step.